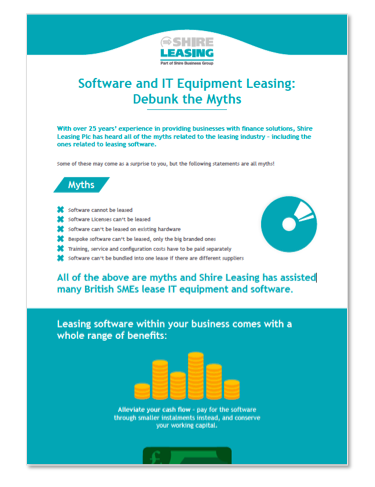 As a leading provider of bespoke business finance solutions, we at Shire Leasing Plc have seen the rise of modern myths surrounding software and IT equipment leasing. To help you separate fact from fiction, we have created an infographic to debunk these myths and assist you in deciding whether leasing IT software or equipment is right for your business. To download the infographic, simply fill out the above form.